-Here’s the swiss army knife equivalent of our tooth stain eraser series. Not only does it come with motion vibration technology, it's also incorporated with a plaque remover head and two different stain remover heads (one with a pointed end and one with a flat end). -All that coupled with a super bright LED light on the body of the item to help you seek out those pesky spots that keep you from having a lovelier smile. – Three different function heads. – One with a stain-removing composite material that has a pointed end to remove tooth stains in between teeth; another with the same stain-removing composite material but a flat end to remove tooth stains on surface of teeth; and another with a rubberized conical head plaque remover. -To help you see more clearly, the spots that need to be cleaned. -L-shaped heads can be separated from the handle of the item, allowing you to sterilize (autoclave/steam clean) the heads. – Easy to use and able to last for at least two years based on once a week usage before needing replacement. – This item uses AAAA batteries. Replacements can be purchased at your local hardware shop or online retailers and marketplaces like ebay. – Brush your teeth and rinse thoroughly to remove plaque or food deposits before using the Sonic Precision Tooth Stain Eraser. – To remove stains, place the side of the tooth stain eraser on your flat tooth surface and polish gently. Additionally, you can use the tip of the Sonic -Precision Tooth Stain Eraser to remove stains in between teeth. Be extra gentle when polishing near the gum line. 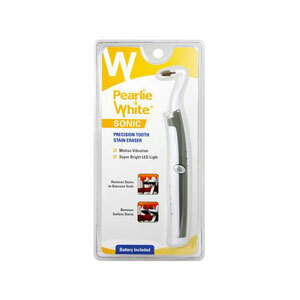 – Wash the Sonic Precision Tooth Stain Eraser thoroughly with water and soap after use. To Insert Batteries or Change Heads – To insert battery, twist the bottom cap counter-clockwise and insert AAAA battery. – For best performance, Energizer batteries are recommended. – Make sure you insert it in the correct direction (positive/negative) as indicated. -Press button to light up and press again for motion vibration. – To change heads, pull to remove. 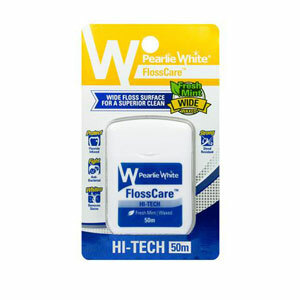 -Use the tooth stain eraser heads occasionally (once a month) only on areas with surface stains. Do not apply too much pressure whilst removing stains. – Tough stains that have accumulated over the years and intrinsic stains (i.e. stains that occur within teeth rather than on the surface) can only be removed by your dentist. – Do NOT immerse this product in water. Clean by wiping the heads of the item with a damp cloth or alcohol wipe. Alternatively, if you have autoclave equipment, you may sterilize the heads (only) by autoclaving. – This product is not meant to replace daily brushing or visits to your dentist. – To insert battery, twist the bottom cap counter-clockwise and insert AAAA battery. -Really tough tooth stains? Our Sonic Precision Tooth Stain Eraser to the rescue.The stain removal head vibrates at the touch of a button to improve the effectiveness and speed of which stains are removed. 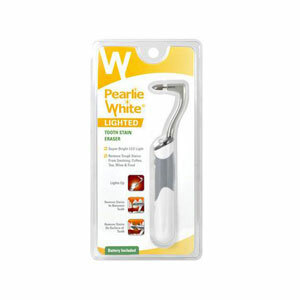 -Coupled with a super bright LED light on the body of the item to help you seek out those pesky spots that keep you from having a lovelier smile. 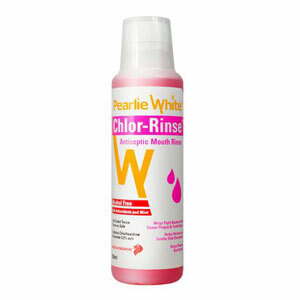 -Special composite material stain eraser effectively removes tough stains on your teeth. -Steady motion vibration to improve speed and effectiveness of tough stain removal. 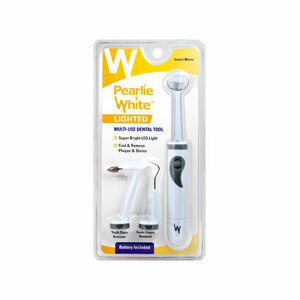 -Comes with a super bright LED light to help you see more clearly, the spots that need to be cleaned. – L-shaped heads can be separated from the handle of the item, allowing you to sterilize (autoclave/steam clean) the heads. To insert battery, twist the bottom cap counter-clockwise and insert AAAA battery. * For best performance, Energizer batteries are recommended. Make sure you insert it in the correct direction (positive/negative) as indicated. Press button to light up and press again for motion vibration. To change heads, pull to remove. Use the tooth stain eraser occasionally (once a month) only on areas with surface stains. Do not apply too much pressure whilst removing stains. Tough stains that have accumulated over the years and intrinsic stains (i.e. stains that occur within teeth rather than on the surface) can only be removed by your dentist. Do NOT immerse this product in water. Clean by wiping the heads of the item with a damp cloth or alcohol wipe. Alternatively, if you have autoclave equipment, you may sterilize the heads (only) by autoclaving. This product is not meant to replace daily brushing or visits to your dentist.